The Elaphiti Islands, archipelago stretching northwest of Dubrovnik, are idea destination for island hopping from Dubrovnik. The islands are covered with typical Mediterranean vegetation and attract visitors due to their beaches and pristine scenery. The largest islands are Kolocep, Lopud and Sipan are the only among them inhabited. On each island there are several fisherman villages, old churches and amazing sandy beaches. The best way to explore the Elaphiti Islands is to take one of many organized boat tours departing from Dubrovnik. There are several agencies offering such tours which will take you to all three islands in one day. The departure point of these tours is Gruz port in Dubrovnik. After embarking your boat in Gruz port you will be sailing towards Kolocep - an island covered with green pine forests and adorned with a picturesque villages along the bay. You will have a time to walk around the island and explore its secrets. Afterwards, the boat sails towards the town of Sudurad on the island of Sipan, the fishing port where the 16th century villa of the Skocibuha family is situated. Your will have time to explore the island and its numerous churches. Your last stop will be the island of Lopud, the most popular among the Elaphiti islands. While on Lopud, you will be served by lunch onboard the boat. It will be typical Dalmatian dishes made of grilled fish and vegetables and local wines. 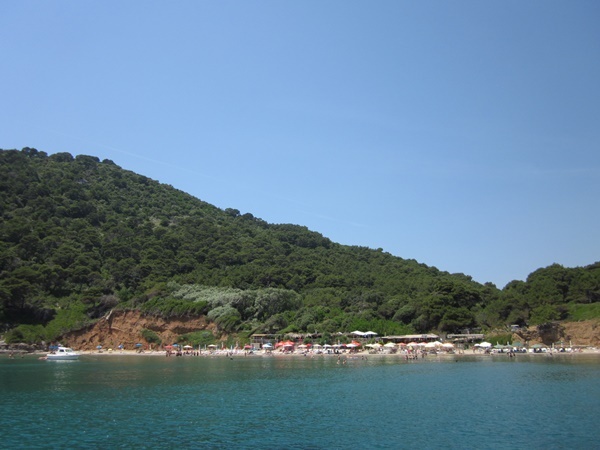 The island of Lopud is famous for its sandy beaches and you will surely enjoy sunbathing and swimming there. Families with small children will surely enjoy shallow waters on these beaches which are ideal for having fun. After a full day of sightseeing, relaxing and enjoying the sun and sea you will set sail towards Dubrovnik.